The “Kingdom of God” is the Bible’s way of describing the way life should be: A world without injustice, sin, and evil. It’s the way life is in Heaven, and the way the world will go when Jesus returns, establishes his Kingdom forever, and restores all things. Christians have been called to bring that Kingdom into the present; we’ve been called to live in the presence of the future, “on Earth as it is in heaven. 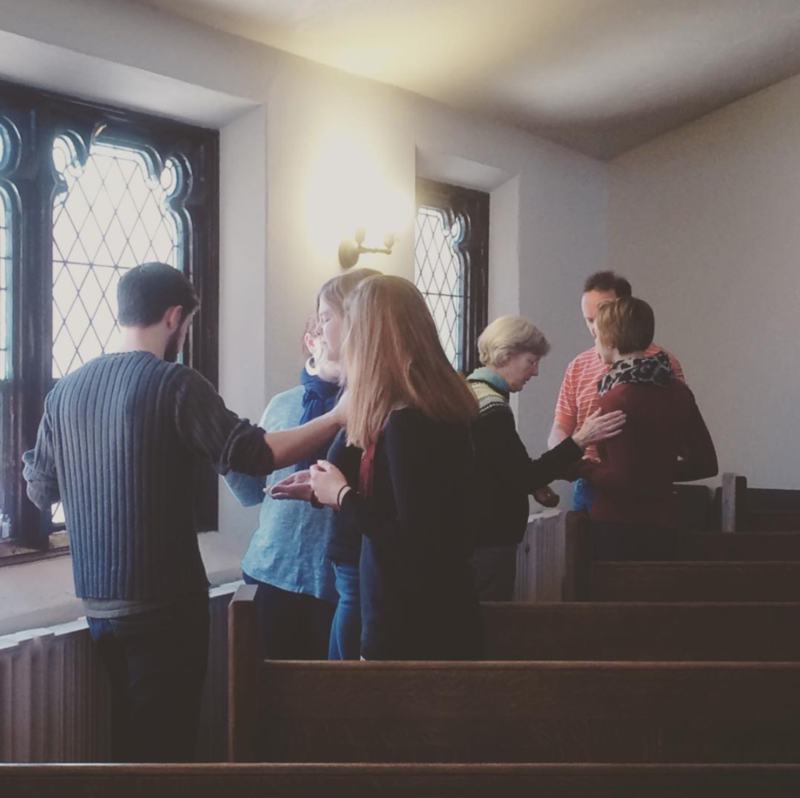 This eight-week course is designed to provide an introduction to prayer ministry. Participants will explore what it means to live as people of the Kingdom of God, be introduced to the four categories of sickness and their corresponding prayer/sacramental responses, engage in discussion and prayer with group members, and will be equipped to effectively and lovingly offer ministry to those seeking prayer. Participants will be exposed to available resources for further study in healing prayer and prophetic ministry, immersed in the scriptures, and have the opportunity to receive and participate in personal, holistic prayer ministry. This course is taught by Deacon Amy Howard, who oversees Encounter God Weekends and healing prayer at Imago Dei. Over the last 8 years, she has trained over one hundred prayer ministers in New England from various Christian traditions. She is also a licensed Spiritual Director for the Anglican Diocese in New England and was trained by Christian Healing Ministries in whole-person healing. *note the change in the original published time to allow access to a better facility for meeting/broadcasting. Bangor Advent Christian Church has generously invited us to use their facility for these sessions. 3. The same benefits as #2 with an invitation for this site’s leader to participate in weekly group debriefing/coaching sessions with the Encounter Ministry Team Leader. Site leaders will then have the option to continue monthly coaching beyond the 8 weeks as they develop a local expression of prayer ministry with their team members, and, with mutual discernment of both parties, assistance in establishing local Encounter God Weekends. This is the required tier for any site with participants that want to minister at an Encounter God Weekend, or for any site that may want to run a future Encounter God Weekend in their area. (Cost is $180 per remote site, required text purchased separately) More details are found after the link below.